Dr. Adrian Calabrese, Ph.D. - Welcome and Blessings! 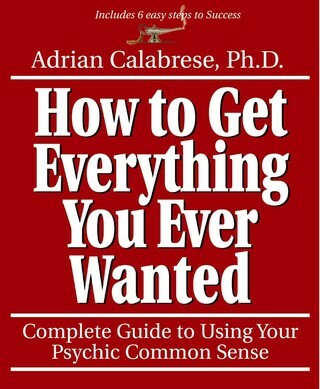 Adrian Calabrese, Ph.D. is an author, speaker, spiritual teacher, theocentric (God-centered) counselor, and Certified Clinical Hypnotherapist. 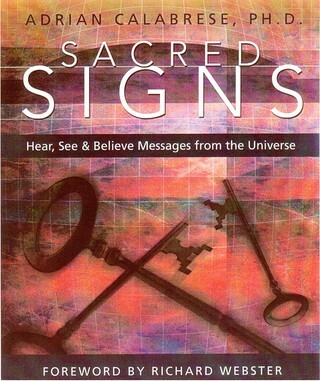 The author of three books, Sacred Signs, How to Get Everything You Ever Wanted, and 10 Spiritual Steps to a Magical Life, and the creator of the Tummy Talk: Speak Yourself Slim, Positive Self-Talk Weight Loss Plan, she has touched millions of spiritual seekers nationwide, through her books and meditation column in Woman’s World Magazine. 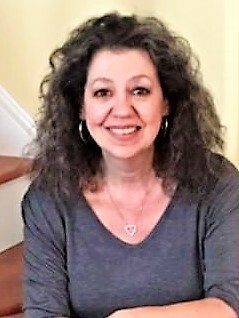 Dr. Calabrese, an ordained Metaphysical New Thought minister, has earned a doctorate in Psycho-Spiritual research, and another in Philosophy/Metaphysics, and is the Founding Minister/Pastor/Director of the Metaphysical Center for Arts and Sciences, and the Metaphysical Church of the Spirit, in New York, and Charlotte, NC. Dr. Calabrese has highly developed intuitive abilities that enable her to assist clients with problem solving and decision making, to improve the quality of their lives. She uses positive theocentric psychology, to assist with their concerns. 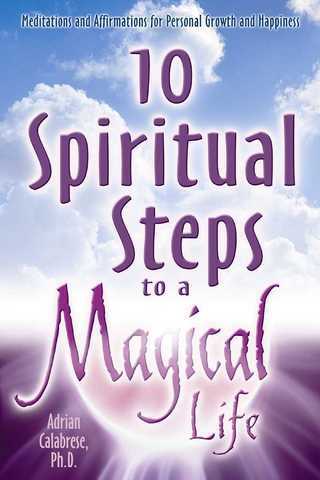 This guidance found in her books, as well, can help clients shape and attract spiritual solutions to their life concerns, make life-changing decisions, or deal with day-to-day relationships and activities, in a more enlightened way, in order to understand life from a spiritual perspective, and attract and live the life they imagined. Over the past 30+ years, Adrian has used her abilities to help men and women find their spiritual path, and has presented hundreds of lectures, seminars, and workshops on how to achieve positive outcomes for life’s day-to-day challenges, in the workplace and at home. She has presented over 500 lectures at college campuses, healing centers, business organizations, and before interfaith congregations nationwide. Her highly-motivational, personable speaking style inspires her audience to view life with enthusiasm, from a joyful, positive perspective. Dr. Calabrese is known for her ability to articulate complex spiritual concepts in layperson’s language. In addition to her spiritual work, Dr. Calabrese has had a distinguished careers as an actor, theatre director, college professor, and television weather anchor. She is a sought-after inspirational speaker, and guest, on radio and television shows across the country. Dr. Adrian's professional memberships have included: The International Metaphysical Ministry, The Authors Guild, American Society of Journalists and Authors, National Speakers Association, American Board of Hypnotherapy, and Society of Stage Directors and Choreographers.